Ten children from Years 1 and 2 took part in the cricket festival at Mountbatten School last Friday. This event was organised by Hampshire Cricket and gave the children the opportunity to practise a variety of cricket skills. As the Cricket World Cup is being hosted in the UK this year, the children attended wearing themed accessories for one of the competing countries: Bangladesh. The children thoroughly enjoyed the afternoon and were excellent representatives of Wellow School. Well done all of you! The Hampshire Schools’ Cross Country Championships took place on a very windy Thursday morning at Down Grange in Basingstoke. 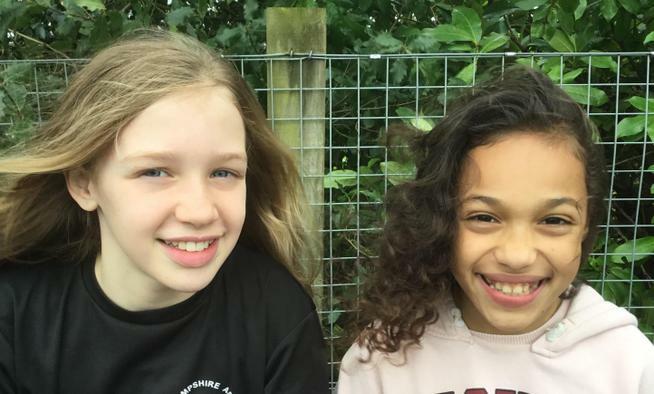 Millie and Lily from Year 5 were selected by the School Games Organiser, having taken part in the regular cross country events at Mountbatten, to represent Test Valley at this selection only event. Around 100 children from across Hampshire in Years 5 & 6 took part in the 2k race in what was a very muddy course! Both girls’ did extremely well and gave it their best effort. Well done! On the Monday before half term, 29 children from across KS1 and KS2 took part in a muddy cross-country competition at Mountbatten School. Due to the muddy conditions, the children ran laps of the 400m track. Being soft underfoot, made the run that little bit tougher but all our children did themselves proud, giving their very best effort whilst being cheered on by their teammates. There were some fantastic achievements, both individually and as a team. You are all supers stars! Year 1 & 2 Girls - Charlotte 1st Place, Emily 4th, Ivy 5th, Lilly 8th, Olive 10th, Immie-Rose 18th, Chloe 27th, Pip 29th and Florence 30th. Year 1 & 2 Boys - Ben 12th, Raf 17th, Tommy 24th, Miguel 44th and Jacob 49th. Year 3 & 4 Girls - Joey 4th, Maya 7th, Rosie 8th and Alica 9th. Year 3 & 4 Boys - Ewan 19th, Joel 27th and Ollie 29th. Year 5 & 6 Girls - Millie 3rd, Lily 4th and Esla 8th. Year 5 & 6 Boys - Oscar 14th, Kaleb 15th, William 16th, Ollie 17th and Charlie P 19th. Congratulations to everyone who took part and represented the school! All your scores (for teams of 4 or more) go towards the final team results at the end of the year. To be included in the individual competition, children need to take part in at least 3 of the 5 races over the course of the year. The last 2 races will be on Monday 1st April and Monday 29th April. 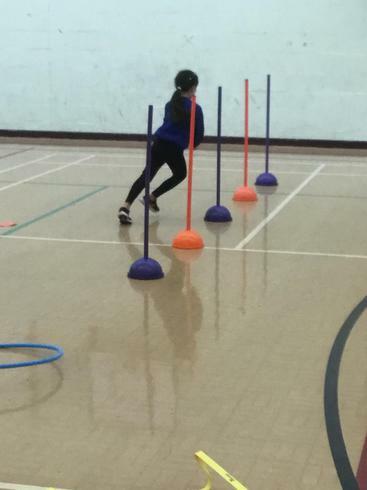 Last Friday, twelve children from Years 1 and 2 took part in the Multi-Skills Festival at Mountbatten School. The children had a fun afternoon, using their ball skills, agility, speed, balance and coordination to compete in a variety of activities. They all worked well as a team, encouraging each other and always trying their best. Overall the team came 4th - well done all of you! 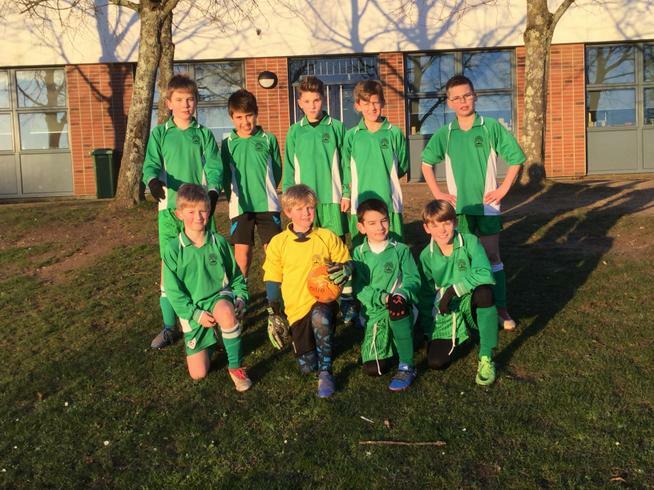 Well done to our fantastic football team who have been playing in the Romsey Schools League over the last 3 weeks. They have been competing against teams from other Romsey Schiools at Mountbatten on Monday evenings. All of the children have worked as a strong team, demonstrating their superb ball control, excellent defence and carefully set up striking opportunities. So far, they have won or drawn most of their matches. We we wish the team well for their final matches next week! 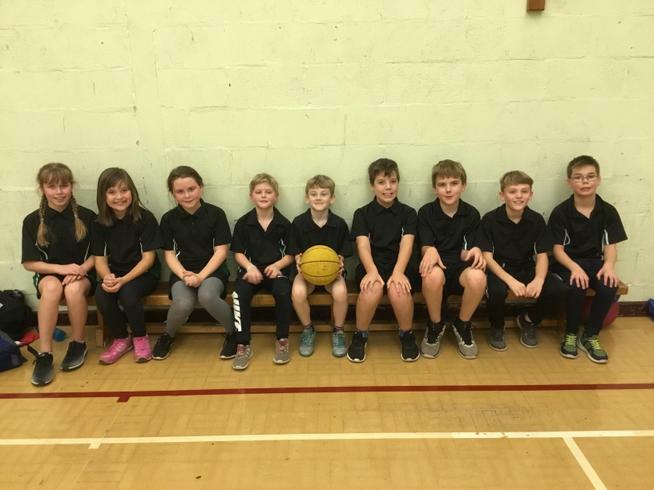 The Wellow basketball team, consisting of 10 children, took part in the Romsey School’s Festival at Mountbatten last week. All the children played well, dribbling skillfully around opponents, shooting baskets and quickly transferring into defensive positions when needed. After an afternoon of fast-paced, closely scored games, the Wellow Team came 3rd in the Plate competition and received well deserved bronze medals. Congratulations all of you! Parents very much enjoyed the fantastic gymnastics display performed by the children who attend Mrs Batchelor's gym club. The children wowed and impressed with their superbly executed routines performed to music, including balances and dance. A huge well done to all of you! 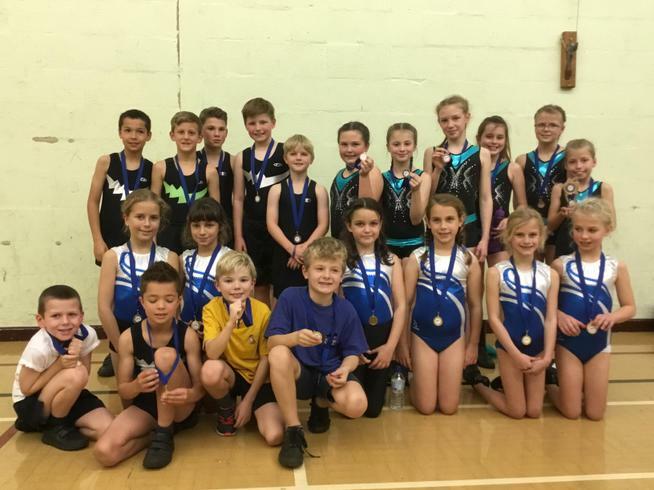 Last Friday, 24 children from Key Stage 2 competed in the Romsey schools indoor athletics festival. All the children did a throw or speed bounce, a jump and running activity, as well as a relay. The throws included chest throw and target throw, whilst the jumps included standing long jump, triple jump and vertical jump. The second part of the afternoon consisted of the running races, where the children ran either 1, 2 or 3 lap races, followed by the relays. All the Wellow team have a huge effort in all their events. Overall Wellow came 4th – well done to all of you! All of the Year 2 class took part in the gym festival at Starlight Gym in Romsey. 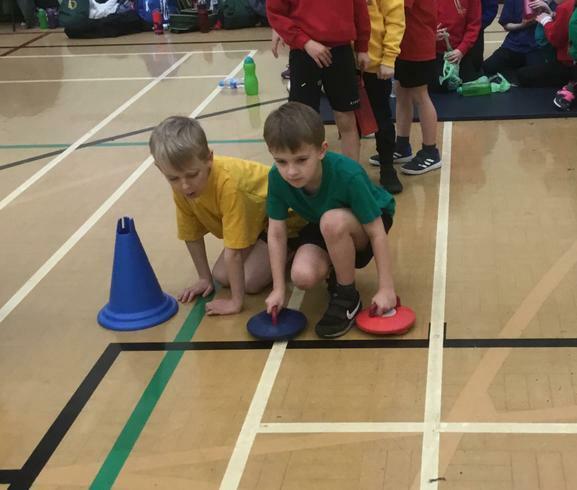 The children worked around different activity stations, including trampolining, vault, beam, trampette, parallel bars, rings, air-track, ropes and floor routines. They were able to use all the equipment and taught how to improve and develop their skills, both individually and working in pairs. Well done to all the children for your enthusiasm and hard work during the morning. It was lovely to see you enjoying practising and performing your new skills. Well done to our excellent Tag Rugby teams who took part in the Romsey schools festival. Both the year 5/6 and 3/4 teams played well, scoring several tries and defending by taking their opponents tags. Although there were no overall winners announced, all the children deserve praise for their determination, skill and great sportsmanship, working well together as a team. 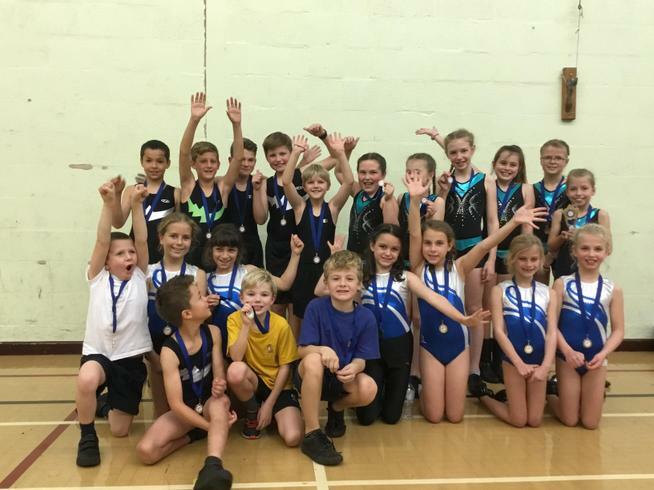 In November, 24 children from Key Stage 2 took part in the Romsey Schools Gymnastics Festival. They all completed an individual floor routine, body management routine and vault during the afternoon. Everybody executed their routines with excellent control and skill. The children’s hard work practising over the last few weeks really paid off. The Year 5/6 team achieved a fantastic third place and the Year 3/4 team were awarded 1st place! The Year 3/4 team have now qualified for the Hampshire Youth Games which takes place in the Summer term. The combined scores placed Wellow School as overall winners of the competition! Congratulations to all of you! Well done to our brilliant girls football team who took part in the Romsey Schools tournament just before half term. They played on full sized pitches, which meant a huge amount of running, showing just how fit they all are! The girls played superbly all afternoon, winning or drawing nearly all of their games. The team worked well together, with the girls in forward, midfield or defence positions. There were excellent displays of skill and speed, enabling goals to be scored. Our team were also excellent in defence with skillful saves from our amazing goal keeper. The team were excited to be awarded well deserved medals for coming 3rd overall. Congratulations all of you! Congratulations to our fantastic New Age Kurling Team who took part in the Romsey schools competition. Corin, Corey and Joel from Year 3 and Isla, Camilla and Lucy from Year 4 represented Wellow School, forming a boys team and a girls team. New Age Kurling is an ‘ice-free’ version of Kurling and involves the children rolling their stones towards a target. The aim is to be the team with the stone closet to the target and requires a lot of skill and concentration; this is something our Wellow team had in abundance! All 6 children gave their very best effort and worked really well as a team. Overall, the girls team came 7th and the boys team came 8th – well done! The Wellow children were also praised for their excellent behaviour, effort and sportsmanship during the afternoon. A huge well done to all the children who took part in the first cross-country competition of the school year. Over 30 of you fantastic runners raced at Mountbatten against children from other Romsey schools. Everyone ran brilliantly, pacing and challenging themselves – you should all be very proud of your resilience and determination! Many children placed within the top few in their races. In the Year 1 and 2 girls race, Charlotte came an amazing 1st place with Ivy H a super 2nd! Immie-Rose came 11th, Olive 12th and Iyla 13th. In the Year 1 and 2 boys race, Thomas came a superb 5th place with Oliver M an excellent 6th. Charlie in Year R came 7th in his first ever cross-country competition and Josh in Year 2 came 8th. Louie B in Year 4 ran confidently, achieving 1st place. Freddie in Year 3 also paced himself well to come 10th. Three girls from Years 3 and 4 took part: Joey who came 5th, Rosie who came 9th and Florence who came 14th. Excellent running from all of you! Our Year 5 and 6 girls team consisted of 3 girls from Year 5: Millie, Lily and Elsa. They all ran brilliantly over a slightly longer distance than last year. Millie came 12th, Lily 16th and Elsa 19th. Overall fantastic results and a great turnout. We do need to have at least 4 children to make up each team, so would love for more Year 6 children and Year 3/4 girls to take part. The next competition is on Monday 15th October at Mountbatten School- we hope to see lots of you there! 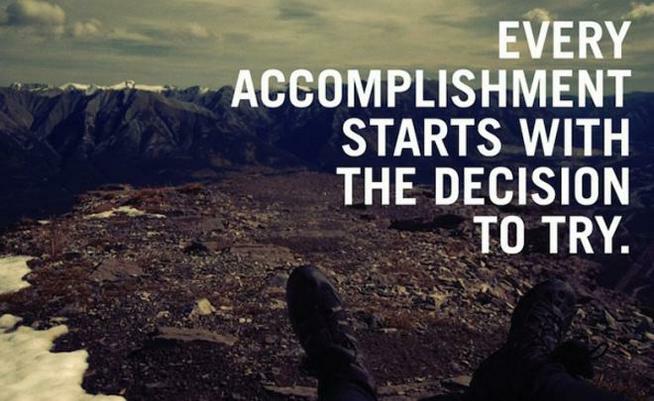 LOOKING FORWARD TO ANOTHER SUCCESSFUL YEAR OF SPORT! Our children excelled themselves not only in competitions but also through their levels of participation in physical activity. All our children took part in the Golden Mile throughout the the year, which has increased levels of focus, fitness and well-being. Everyone has also taken part in our intra-school competitions such as sports day and inter-house matches for KS2. The Romsey Schools results were testament to the effort and determination of our children. Wellow School came 2nd overall for the 2017-18 academic year! We also achieved the Gold Sports Mark! Well done to all the Wellow School children! Thank you to all the parents who have provided transport and support for these events.